Content creation has evolved over the past ten years, and so have the demands of the designers and creators. CAD professionals want flexible, sleek, and quiet small form-factor workstations. Radeon Pro WX 4100 delivers the performance and reliability workstation users need to get their job done. 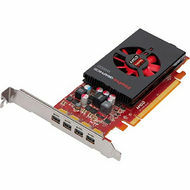 Purpose-built for CAD professionals, the RadeonPro WX 4100 graphics card is the world’s fastest low-profile workstation graphics solution available today, delivering up to 2.46 TFLOPS of compute performance. Based on 14nm FinFET technology, the Radeon Pro WX 4100 GPU contains the latest innovations found in the state-of-the-art Polaris GPU architecture. 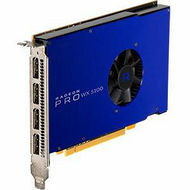 The Radeon Pro certification team is working diligently with our ISV partners to ensure certification on many of the popular applications that are being used in the Design and Manufacturing spaces, making certain that the Radeon Pro WX 4100 graphics card is properly supported on key applications so you can have a hassle-free experience. 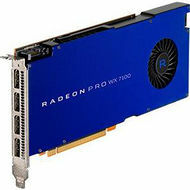 Radeon Pro WX is the embodiment of innovation and design within the Radeon Technologies Group. Great care is taken into crafting each product to ensure quality and reliability are at the highest of standards. 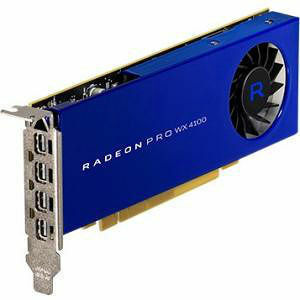 The Radeon™ Pro WX 4100 graphics card is based on the fourth-generation of Graphics Core Next (GCN) GPU architecture and, like its predecessor, can perform graphic and arithmetic instructions in parallel. Removes CPU bandwidth and latency bottlenecks, and optimizes communication between GPUs within a system and third party devices like SDI I/O cards. DirectGMA bypasses any need to traverse the host’s main memory, reducing CPU utilization, avoiding redundant bus transfers, and resulting in high throughput, low latency data transfers. Native support for 10-bits per color channel for color-critical tasks. Driving an effective 30-bits per pixel, the Radeon™ Pro WX 4100 is great for any workload requiring that level of detail and color precision. High dynamic range (HDR) capability enables visuals that closely match what is familiar to the human eye.